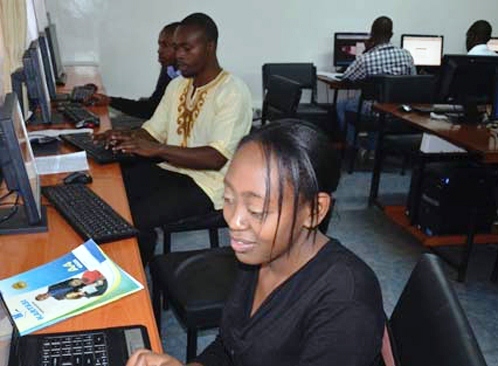 KUSOL has invested heavily in the innovative use of Information and Communication Technology (ICT) so as to maximize the availability of learning resources to the student body. To this end, there is wireless access throughout the School as well as one large computer laboratory on site with the capability of providing students with access to electronic resources. Regarding electronic resources, KU has developed e-learning technology that is in use in all its Schools including KUSOL. Using this technology, lecturers can transfer teaching materials to University Computers (servers) and these materials can then be made available to students wherever they may be physically located as long as they have access to the internet. Lecturers can also hold virtual (online) lectures and tutorials and administer mock exams for the students’ benefit using this system. 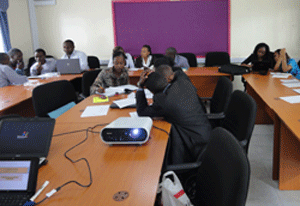 Notwithstanding the measures already in place, the School of Law is actively expanding its library and ICT capabilities. Furthermore, KUSOL has entered into meaningful partnerships with prominent law-related organizations and entities, in order to enhance the capability of our library staff to be conversant with the nature of present and emerging legal texts and relevant online resources. Remember to ask the library staff how to access the various online law resources available.